Today is rainbow nails! Each day is getting harder and harder as it goes by. I tried out so many rainbow designs and none of them really came out good except for this one. 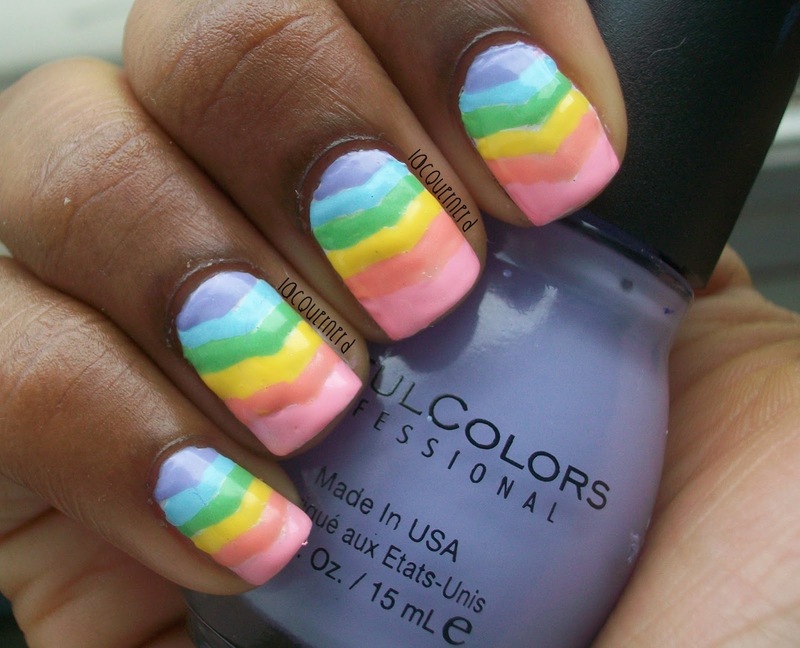 Originally when I was practicing on my nail wheel, I used the darker rainbow colors. It looked good, but I wanted to do something a little different. I changed the colors to be a pastel rainbow instead of a regular rainbow. They look really cool. These took forever (and just for one hand! ), but I think they came out great! Most of my designs are freehand, and I love that I can see the improvement from before when I tried these designs! For today's design, I did freehand chevrons with pastel rainbow colors. 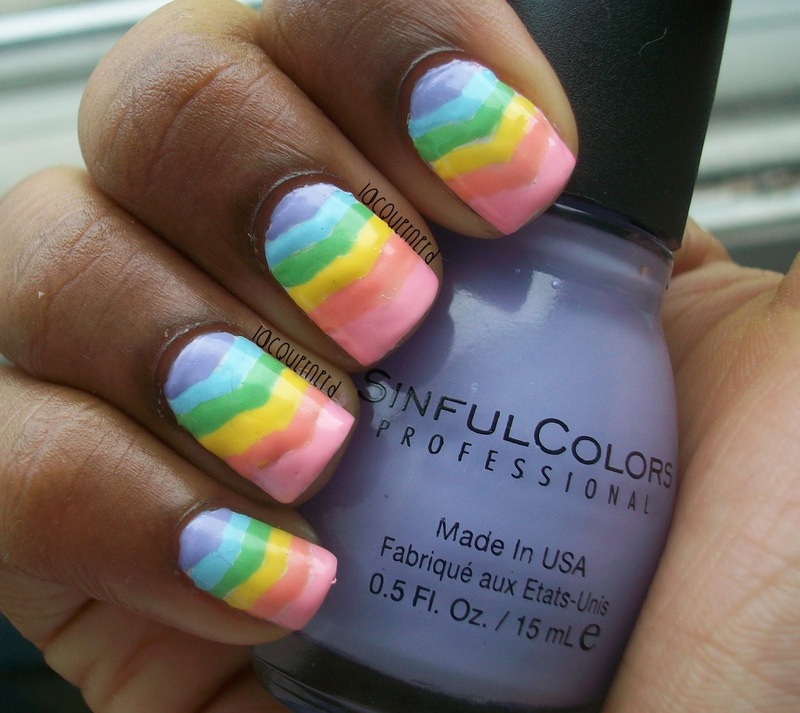 For this design, I first painted my nails with Wet n Wild's French White Creme. This will bring the colors out more, especially if it's a polish that isn't that opaque. Once the white polish is dry, using a detail brush, I made a thin triangle shape for the chevrons. Then, I filled in the space with the polish. If you need to, you can go over with the polish to even out your chevron shape. Next, I repeated with all the other colors. Finally, I finished off with a top coat. If you want some extra sparkle, you can use a glitter top coat. I love this design! 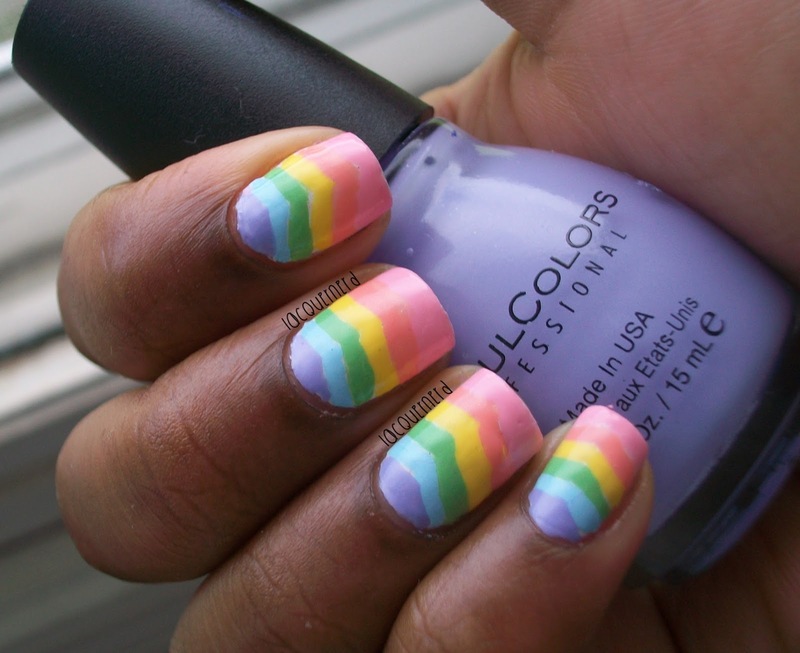 It reminds me of Carebears for some reason. You can also try this design with different colors as well. What do you think of this design? Tomorrow is gradient nails!